Bihar is one of the most blessed lands in India with the land being fed by the sediments of the great Ganges and the mighty Kosi rivers. 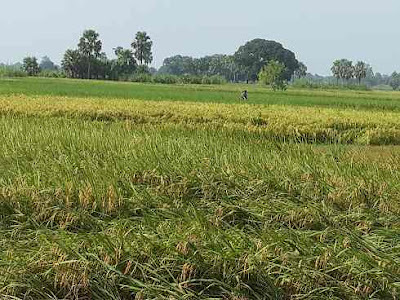 Being located in the typical Indian plains the tropical soil dominates the landscape and is rich in water which makes it perfect for wheat, rice, sugarcane, and maize and pulse cultivation. The soil of Bihar is one of the best in India majorly because of the flat slow plains which make the rivers slow down and results in the settling of the sediment that adds to the fertility of the soil. The Indo Gangetic plain contains thick alluvial soil rich in humus, loam and water. The upper stream area is mix of alluvial and clay from the valleys of Nepal while the lower stream soil is dark but misses phosphorus and nitrogen. However the soil is extremely rich in potash and lime which makes it perfect for cash crops. However wherever the water slows down greatly the soil turns into marshy areas especially in the North West area and is fit for growth of natural indigo. 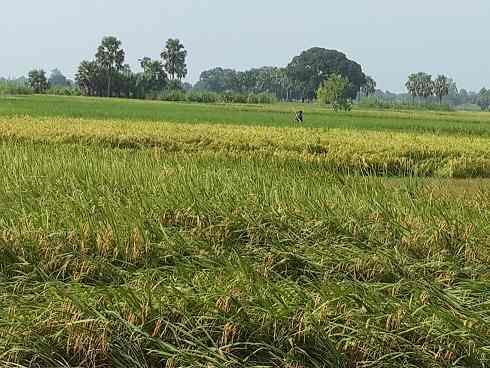 The terai soil which is perfect for rice cultivation is found in the north and also towards the Bengal border. Also the state has a 7.1% forest cover which means that the forest covered dark soil is also predominantly available especially in the Nepal touching areas. The southern portion is however mostly non cultivable land and is dominated by mineral content specially the iron ore which is the part of the Chota Nagpur plateau. Overall the soil of Bihar is extremely good and form the part of the grain basket of the country. Also the soil is rich in natural sediments making it apt places for organic farming.